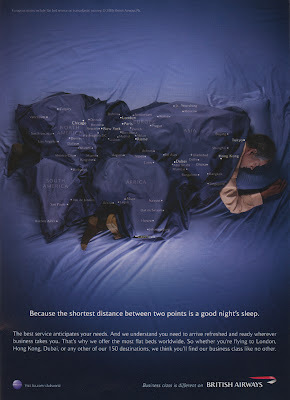 I just came across this in my ever expanding pile of luxury tourism ads - the materials I'm writing about with my colleagues Irina Gendelman and Adam Jawoski (see here). It's yet another Romanticized image of Neocolonial Man (see Global elites post). 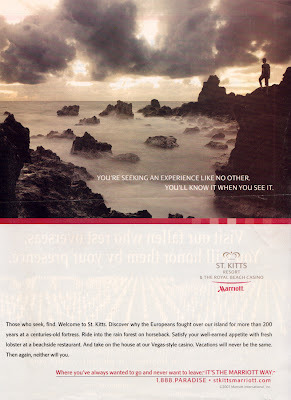 What makes this instance all the more peculiar is its unapologetic celebration/exploitation of St Kitts' original colonial occupation: "Discover why the Europeans fought over our island for more than 200 years ...".